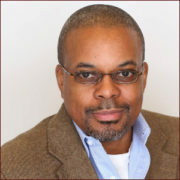 Eric Williams is a founder and President of The Obscidion Group. He has over 25 years of experience across industry and professional services working with the world’s largest domestic and international companies. He has extensive experience in the Federal sector working with multiple agencies including The Department of Homeland Security, The Department of the Navy, the General Services Administration, and the United States Coast Guard. His professional services experience includes International and Domestic Global 500 clients across industries including telecommunications and technology. He has advised companies on issues ranging from Corporate Strategy, Business Process Design, and Performance Management. Prior to founding The Obscidion Group, he worked as a consultant with A.T. Kearney management consulting. He has held positions with Hewlett-Packard, Sprint, and Lockheed-Martin. He has an MBA from the University of Michigan Business School, an M.S. Systems Engineering from Virginia Tech, and a B.S. Electrical Engineering from Drexel University.